Introducing the 2013 Ape Woman Band. We’re at it again, making the music we love. 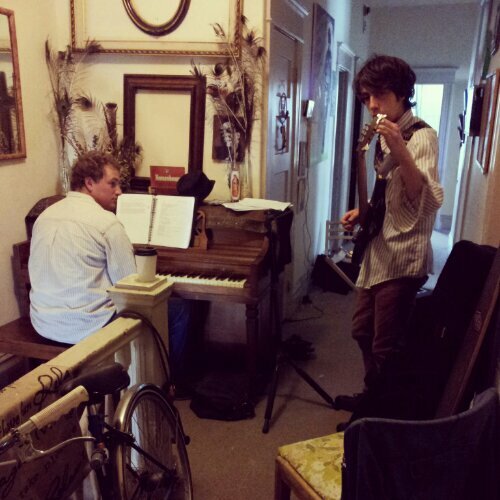 With only half the band in San Francisco, there have been some really outstanding rehearsals already. And now, the fabulously bi-coastal 2013 Ape Woman Band! We’re going to the Berkshires! The Ape Woman has been selected to appear in this summer’s Berkshire Fringe Festival in Great Barrington, Massachusetts. 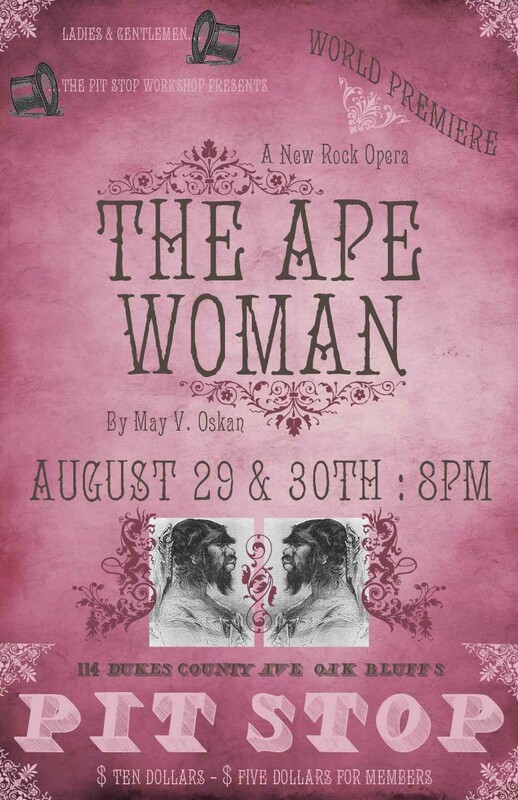 Along with eight other astounding performers and companies from across the country, The Ape Woman will run six shows, opening July 31st and closing August 5th. We are honored to be part of this prestigious and innovative festival, which has showcased new and experimental work for nearly a decade. Check out the lineup, and we’ll see you in the beautiful Berkshires! Laura Anderson Barbata, a visual artist from Mexico, was instrumental in returning Julia’s remains to Mexico for burial. It’s wonderful to know that it was art that brought about this amazing conclusion. You can check out some of Ms. Barbata’s work at her website. I can’t tell you all how overjoyed I am at this news, and I wish I could have been there to see her laid to rest. Thank You Boston, Thanks Again Pit Stop! The Ape Woman just finished our second three-show run, December 7th through 9th! It was a smash, to say the least, and we were thrilled with the turnout and response every night. On Friday, Club Passim in Cambridge was packed with old friends, Vineyard cheerleaders, and a lot of completely unfamiliar faces. Saturday and Sunday we performed back on home turf at The Pit Stop Workshop Co., to grateful and enthusiastic audiences. Stay tuned on our Gallery page for more production photos (in new costumes!) from Dan Waters, Katie Ruppel, and others. Special thanks to James Reed for his wonderful preview article in The Boston Globe, which you can read from our Press page. Huge thanks also to Ellie Wetherbee and Alisa Javits for the extraordinary decorating job all three nights, strewing roses, ferns, and baby’s breath artfully around our stages. Crushing rose petals under my flamenco heels as I stepped onto the stage definitely brought the experience to the next level. Next stop: San Francisco! Details forthcoming for our West Coast premiere this June! We’ll see you all in the winter. WORLD PREMIERE: August 29th & 30th. Encore performance on September 1st, by popular demand. Thank you, Martha’s Vineyard, for the warmest reception we could never have dreamed of. Our world premiere was an absolute triumph, and we can’t wait to do it again. Thank you to Don Muckerheide and the folks at The Pit Stop Workshop Co. for helping to make this show a huge success. Thank you to Diana Reilly for the beautiful poster design, and Anthony Esposito for the live recordings.